October might just be my favorite month. The first half is spent celebrating the girls' birthdays, leaves are changing colors in the most beautiful way, I'm wearing jeans again and the end of the month brings a full-on candy binge otherwise known as Halloween. Cheers all around! This year, Millie didn't have a singular obsession (remember her dinosaur birthday? 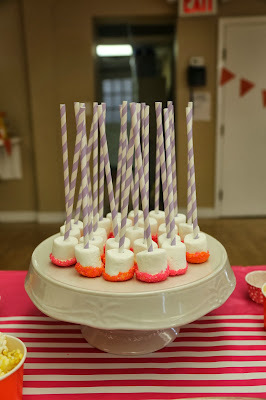 ), so I had a bit more free range with the party planning. 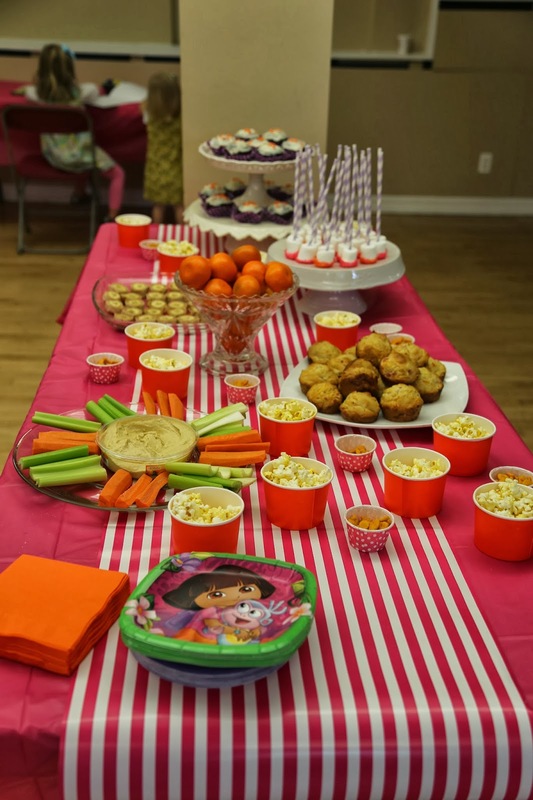 She does love Dora the Explorer, but I couldn't bring myself to do a full-on Dora party (!) 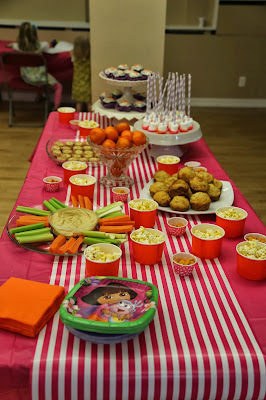 -- instead, I used a pink/orange/purple color scheme and threw in Dora dessert plates. Other than that, Millie requested I serve Goldfish, so she was low on demands and an easy client to please. Ha! We hired a lady who lives in our neighborhood to do face painting and "music time" and the kids had a blast. 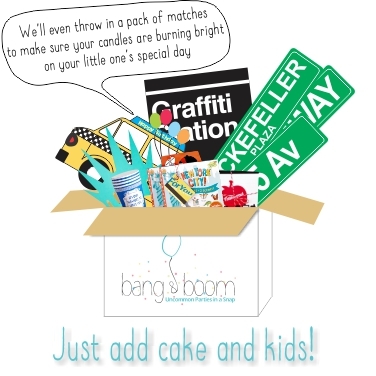 I have to admit, if you can find affordable entertainment, it takes a lot of pressure off the party planning. 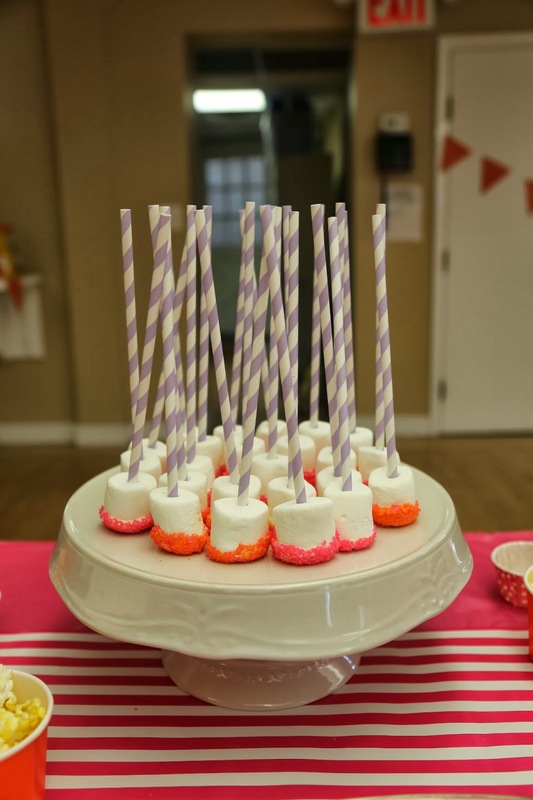 I decorated with supplies from Oriental Trading, Target and 3 Sweet Memories on Etsy and kept things fairly simple (I always look to Weelicious and Pinterest for recipe ideas). We once again used our building's community room so as not to have a gaggle of screaming children running through our apartment for 3 hours, and I think that was a wise choice (particularly if you happen to be my downstairs neighbor). The photo backdrop was a simple crepe paper DIY and the girls dresses came from wearhop. 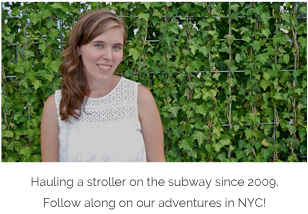 More on that fun site coming soon! 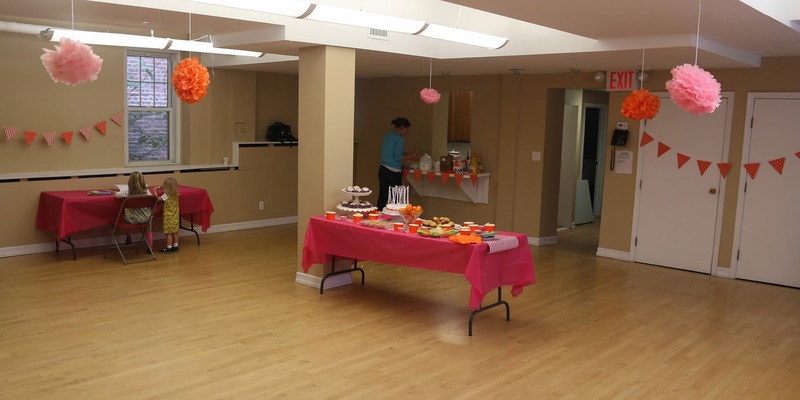 Millie had a blast celebrating with her friends, and the adults enjoyed the mimosas and coffee we had on hand. More on the contents of the fun Kiwi Crate goody bags we gave her guests coming soon... they look intriguing, right?! Happy Birthday to my fabulous 4 YEAR OLD, Millie! Looks like a great party! Can't believe she's 4!